What drives 'devoted actors' to fight and die? What drives 'devoted actors' to fight and die? As opposed to 'rational actors', 'devoted actors' take an uncompromising stance on ideas they deem sacred, sometimes willing to fight and die for their cause. This stance has helped drive global terrorism and the rise of the Islamic State in recent years. Such devoted actors see themselves as part of a collective identity, and their willingness to make costly sacrifices can enable them to prevail against materially stronger foes. Scott Atran, an anthropologist who holds positions at the University of Michigan, University of Oxford, and France’s National Centre for Scientific Research, will speak on his fieldwork interviewing members of the ISIS network, providing insights on why disputes spiral out of control in a rapidly interconnecting world of collapsing and conflicting cultural traditions. This is the first instalment of the new lecture series 'Frontline research on terrorism' at the Hertie School. The threat of terrorism is widely seen as one of the most pressing issues of our times. Yet the debate continues to be dominated by rumours, subjective opinions and emotions, rather than scientifically established facts. To strengthen the basis for political decision making, the event series aims to provide a realistic view of current and future scenarios based on the scientific findings of experts who study terrorism. Scott Atran is tenured as Research Director in Anthropology at France’s National Center for Scientific Research. He is a founding fellow of the Centre for Resolution of Intractable Conflict at Harris Manchester College, University of Oxford, and holds positions as Research Professor of Public Policy and Psychology at the University of Michigan and Director of Research at ARTIS International. He has experimented extensively on the psychology of religion and on the limits of rational choice in political and cultural conflict. He has repeatedly briefed NATO and members of the US Congress and the National Security Council staff at the White House on global network terrorism and on pathways to and from violent extremism. He currently serves in advisory capacity to the United Nations Security Council and Secretary General on problems of youth and violent extremism and on ways to engage and empower youth in the promotion of peace. Scott is a recurrent contributor to The New York Times, The Guardian, and Foreign Policy. 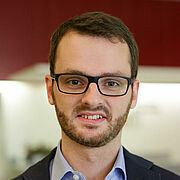 Julian Wucherpfennig is Assistant Professor of International Affairs and Security at the Hertie School of Governance. His research focuses on the strategic nature of political violence and conflict processes, especially ethnic civil war and terrorism.